A native of Alabama, Ann has painted all her life. She holds a BA from Queens College and an MA from Georgia State University. Settling in Atlanta right after college, Ann has taught Art History at the Atlanta College of Art, Georgia State University, and DeKalb Community College. 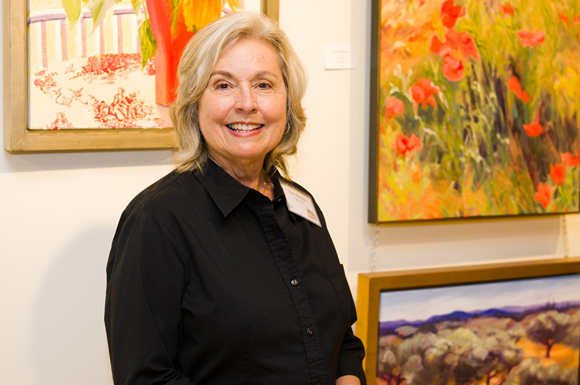 Ann is a member of the Oil Painters of America, the American Impressionists Society, and the Women’s Caucus for Art. Celebratory landscapes are the focus of my work. Personal response to the intensity of nature’s force informs my painting in which loose brushwork and overlapping layers of paint represent the complexity of the universe. I am fed by nature’s light and color, comforted by its underlying geometry, awed by its muscularity. The garden itself represents an earthly paradise which we tend or neglect or pave.